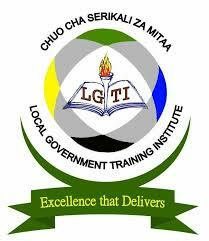 The Local Government Training Institute (LGTI) is a higher learning Institution under the President’s Office, Regional Administration and Local Government (PORALG). The Institute was established by the Act of Parliament No. 26 of 1994, as a body corporate, to provide training, advisory, consultancy community outreach services in the fields of Local Government Finance, Administration and Management. As such, the Institute falls under the subject sector of Business and Management. The subjects falling under the said subject sector include Local Government Administration, Accountancy, Financial Management, Materials Management, Human Resource Management, Law and other related subjects. ix. Prepares exams and invigilates and marks examination papers. xi. Performs any other duties as assigned by his/her supervisors. position in related or allied institution. 3.5 in first degree from a recognized higher learning Institution. 1.32 ASSISTANT LECTURERS (PROJECT PLANNING)-1 POST1. 1.33 ASSISTANT LECTURERS (INFORMATION AND TECHNOLOGY)-1 POST1. Holders of a Bachelor Degree (NTA Level 8) or its equivalent qualification in a relevant field and obtained an upper second with a minimum GPA of 3.5 in first degree from a recognized higher learning Institution.